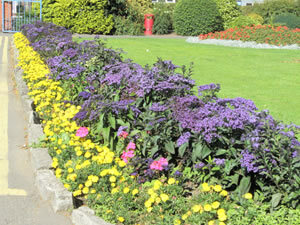 In December 2006 our forum became dis-satisfied with the local education provision for older people. Further Education money seemed to be targeted more and more at correcting the shortcomings of teenagers leaving school so as to ready them for employment. 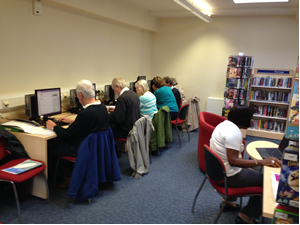 Roy Smith, our Elecronic Contact Person & Vice-Chair, discovered that 5 computer stations in our local library had free slots while pupils were in school. We now use these for our courses. The library staff were very helpful and friendly and this makes a big difference. Also the facilities are made available to us free of charge which is great. 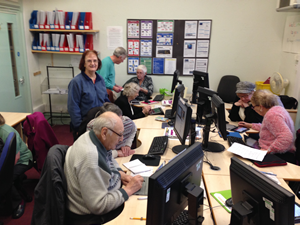 The demand for computer help has now grown to the point where Roy Smith, who started the whole idea, has arranged for us to offer a second weekly session. 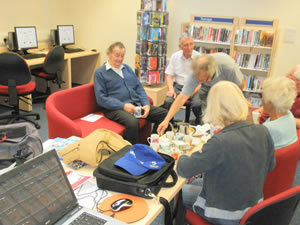 These run on Monday mornings from 9.00 am again in Long Eaton Library. There is always a welcome refreshment break half way through the morning. Roy has a really helpful band of friendly computer buddies including Dorothy, Paul and Geoff to help you with any problems, Do feel free to bring your laptop or tablet but make sure it's fully charged up! Roy Smith, our Vice-Chair, is enthusiastic about getting members up with e-mailing and the internet even when they don't have their own computers. 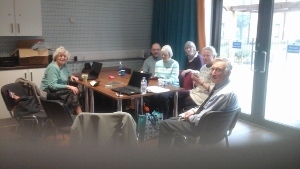 A recent help session taking place at Lacemakers Court, a local residential facility which we use in school holidays when the library computers are unavailable. Click on the image for full scale version! 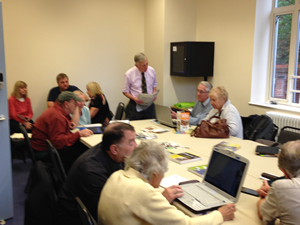 One of our popular Community House sessions in progress. 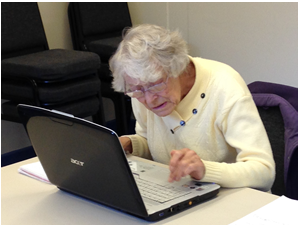 Members can use the PCs or work on their own laptops and tablets. Task cards are available and a printer for your photos. There are many free downloadable guides to help you improve your skills with computers. These are constantly being updated. Many of the guides are there to help you get up to date with wonderful new possibilities such as Skype. Others are there to help people with disabilities get more out of their computers or use them more easily. How to change your wallpaper!